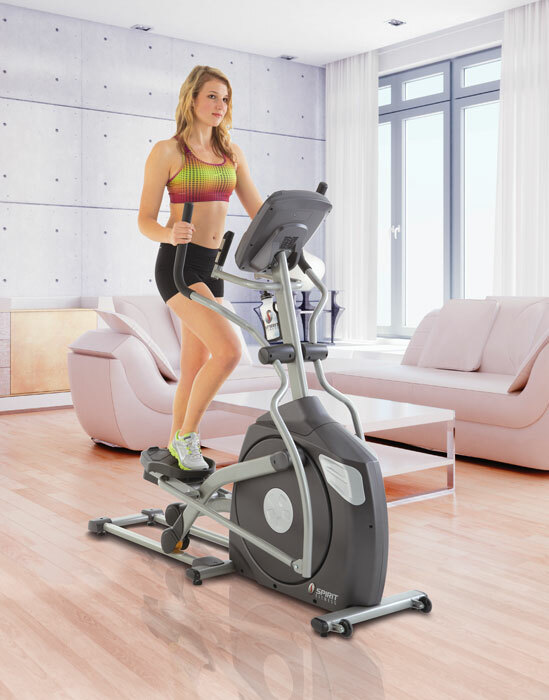 All Spirit Fitness ellipticals are designed with convenience, comfort, reliability, and aesthetic appeal in mind. 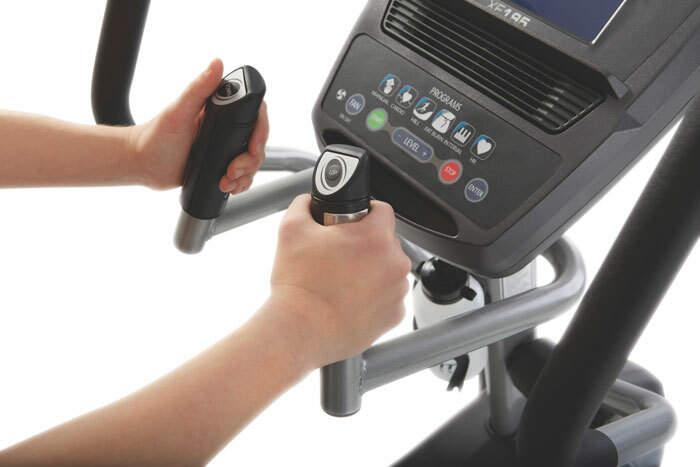 We are confident that if you enjoy the experience – proper ergonomics & biomechanics, a smooth, quiet stride, important workout data feedback, and challenging programs, that you will adhere to a regular exercise routine with whichever elliptical you chose. 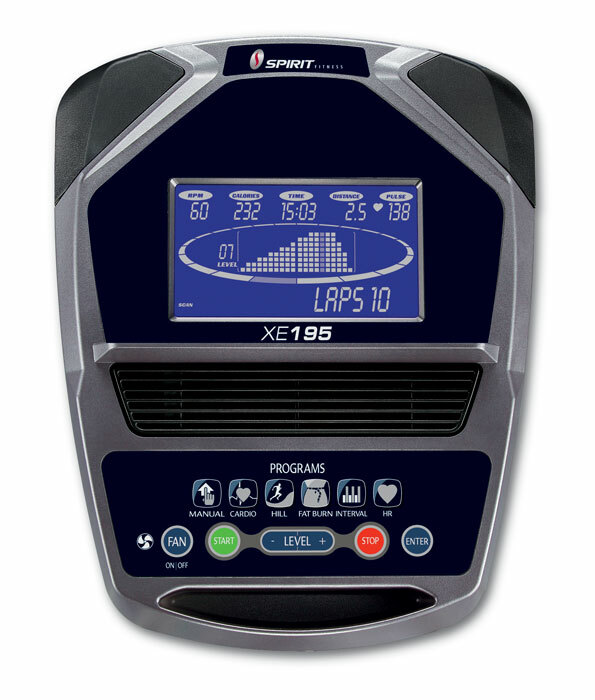 All of our home elliptical trainers have a tilting console with ten degrees of adjustment, so that you can get the best viewing angle on our bright 7.5” blue backlit LCD screen. Conveniently located heart rate grips allow you to monitor your pulse. 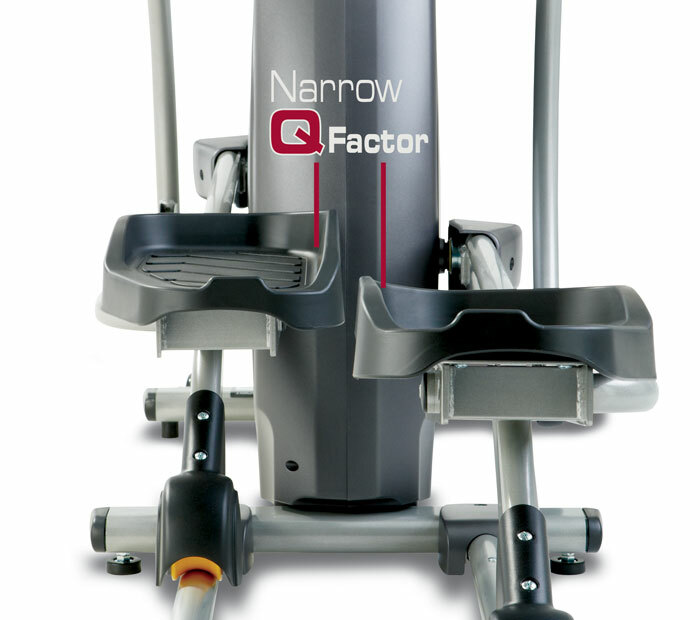 This allows you to increase or decrease the resistance, based on where your heart rate is.